The more I notice & learn about our world the more I am utterly amazed at how awesome it is. All I have to do is look around and know that we have an awesome God who created it all. I have always believed in God, and never doubted his existence. I have never given much thought to Atheists, but I have heard more about what they believe in the last few years. As Christians we need to be able to stand up for what we believe & knowing a little bit about what others believe will help me teach my kids how to stand in their faith. 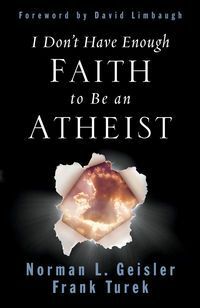 In the book I Don't Have Enough FAITH to Be an ATHEIST, Norman Geisler and Frank Turek argue that Christianity is more reasonable than all other belief systems & is more rational than unbelief itself. 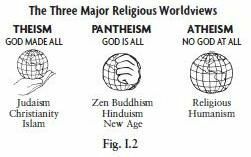 They guide the reader through arguments for the existence of a creator God with clear thinking. They examine the reliability of the New Testament accounts concerning Jesus and the final section deals with an investigation of the claims of Christ. This 447 page book is available from Apologia for $16.00. 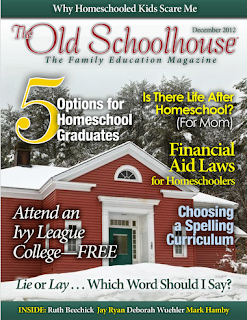 A sample chapter and table of contents are available on their website. 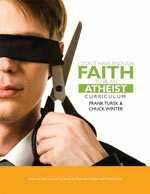 Apologia also offers their first apologetics curriculum for high school to go with the book. This study will prepare teens and young adults to defend their faith. The student will come across questions of absolute truth, demolish the follies of postmodernism, debunk moral relativism, and move toward inescapable truths of the Christian faith. My girls are a little young to use this curriculum, so I have been reading through the book. I like that they discuss truth and if it can be known by giving a Road Map of "Twelve Points That Prove Christianity Is True". This book digs deep, but the stories that are told really help you understand what they are saying. I really like the tables & figures included throughout the book to help visualize the concept. 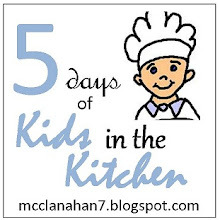 The curriculum was written to help us understand & remember critical points using supplemental material, study questions, and activities to encourage discussion. I am not filling in the curriculum but reading through it really helps me understand the book. One thing I love about the curriculum from Apologia is they introduce you to so many people right in the workbook. They give us a picture of the person along with who they were & what they believe all on a gray box or page. Hook ~This includes questions to warm up your brain & reminds you what the book was about for this chapter. Book~ Here you will dig deeper by testing your knowledge and comprehension with questions from the book. Look ~You will build on your new knowledge here with research & activities. Took ~ This is where you learn to apply the concepts to your life and as a witness for Jesus Christ. This curriculum would be great for any Christian, high school or older, that want to equip themselves with the knowledge to stand firm in their faith. I am looking forward to using this curriculum with my girls in a few years and learning right along with them. 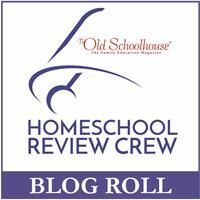 Disclaimer: As a member of the Schoolhouse Review Crew I received I Don't Have Enough Faith To Be An Atheist free of charge from Apologia, in exchange for my honest review.